Fall is Air Duct Cleaning Season - Pringles, Inc. If giving a warm welcome to cooler weather and festive times with family and friends means turning up the heat in your house, there’s something you should know: You may need to clean your home’s air ducts. Air ducts and ventilation systems can get stuffed with dust, pet hair and other contaminants that get blown through your house when you kick on the furnace for the first time in the fall. Whether you notice a burning smell when the heat turns on or experience an increase in allergy symptoms, dirty air ducts may be to blame. If you are ready for fall air duct cleaning, then Contact Pringles Inc. for Residential Air Duct Cleaning in Columbus and Central, Ohio. Be sure to schedule your Fall air duct cleaning service before Winter! The debris that builds up in your home’s air ducts throughout the year can foster mold and bacteria growth, and even invite vermin into your home. Homes exposed to extreme weather conditions (like this year’s record-breaking hurricanes or the heat and ash from wildfires) are particularly at risk of developing hazardous mold and bacteria. However, extreme weather isn’t the only thing that can dirty your ductwork. Even homes in regions that are going through the normal seasonal changes see a build-up of allergen-producing spring pollen or mold caused by a humid summer. Daily living with pets and people coming in and out of a home can introduce pet hair and dirt into your home’s air ducts, causing allergic reactions when air starts flowing through the ducts and blowing the dirt through the home. And now, with flu season on the horizon, it’s especially important to ensure the air in your home is free of common irritants that can worsen symptoms or even cause illnesses. Older people, young children and anyone with asthma or other respiratory diseases are all especially susceptible to illnesses caused by impurities in the air. The good news is that having the ducts cleaned can save you money on energy costs in the long term. Research by the EPA has demonstrated that air duct cleaning and removing debris from your home’s heating and air conditioning system can improve efficiency and the overall quality of indoor air. And, if your health wasn’t reason enough to get your air ducts cleaned this fall, clean, efficient HVAC systems are less likely to break down and will have a longer lifespan and generally operate more effectively, saving you money and the hassle of dealing with a broken-down heating and air conditioning system. 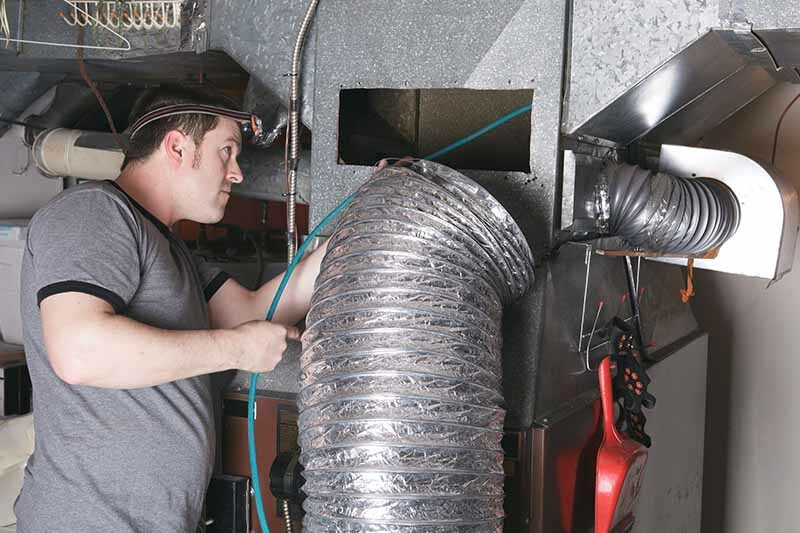 This article was published with permission by NADCA: National Air Duct Cleaners Association.